Advanced Gutter Leaf Guard was developed so that the public could have a true gutter cover that works the way it should without the high dollar cost. My name is Brian Cameron, the owner of a prominent home inspections company www.camelothomeinspections.com in the east Texas area. For years I have inspected homes where damage was caused by water due to an insufficient product that allow the gutters to get clogged or the roof water to miss the mouth of the gutter during heavy rains. Clogged gutters damage your most cherished investment; your home. I have inspected all types of gutter cover products and have compared all types of gutter cover products and none compare to Flo-Free installed by Advanced Gutter Leaf Guard. 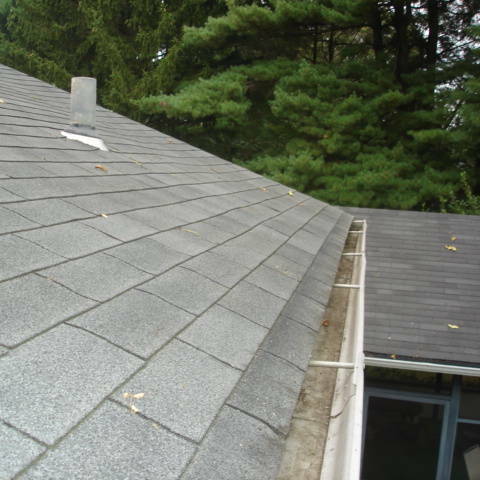 There are tons of gutter covers that do not work and there are very few that may work part of the time but Flo-Free installed by Advanced Gutter Leaf Guard works all the time. Flo-Free leaf guard leaves 100% of the top mouth of the gutter open to accept rain water (that’s the top 5" to 6" of the gutter). This means that it allows the gutter to continue accepting water even in the heaviest of rainfalls. Insects are discouraged from making a nest because the gutter mouth is not closed up; it’s completely open allowing the gutter to dry when rain has stopped but not allowing leaves inside the gutter. Other name brand products have an enclosure that allows a breeding field for all insects as well as damage to the gutters metal. Over a period of years debris builds up inside these enclosures and the cover must be removed to clean the debris out of the gutter. 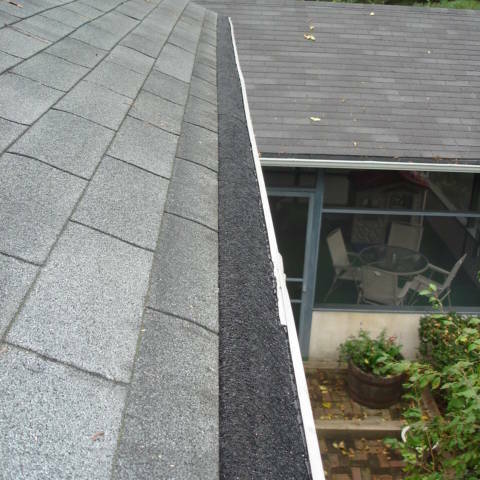 The Flo-Free gutter guard does not affect the roof shingles or your roof shingle warranty, unlike other gutter protection products that attach through the roof surface.Flo-Free gutter guard also has a smooth, slick, non-stick top surface that prevents anything from adhering to it unlike other gutter covers on the market today. Flo-Free can handle all amounts of rain water coming off your roof and leaves with their debris shed to the ground. That is great news for those areas with trees experiencing huge downpours of rain at any one time. All this makes Flo-Free Leaf Guard the obvious choice in gutter protection. Name brand covers with solid enclosures allow water to flow over the cover landing on to the ground near your homes foundation which can cause foundation issues, attract insects, and if you’re here in East Texas the water that lands on the ground near your foundation can attract termites and we all know the damage termites can do in our area. So let us recap, since 1989 Flo-Free allows all the water to go into the gutters mouth and out the downspout as it should, Flo-Free prevents the build up of debris inside the gutters, Flo-Free gutter guard is clog free and Flo-Free is so dependable that it comes with a product LIFETIME TRANSFERABLE WARRANTY (a great selling point, should you decide to sell your home). But the best part about the Flo-Free product is the cost is a fraction of the name brands and Flo-Free does its job in your present gutters. That’s right we’re not out to sell you a whole new gutter system, we don’t sell gutters we just guard them. Flo-Free is installed by Advanced Gutter Leaf Guard. 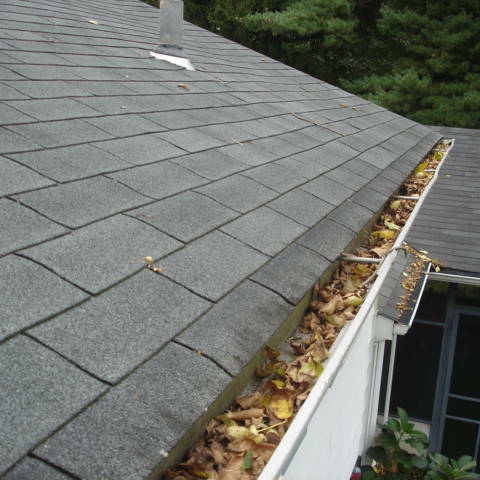 Advanced Gutter Leaf Guard is a professional and family owned company that you can trust. Take it from a Texas state licensed home inspector who has seen thousands of gutters and done lots of research for the best gutter cover on the market for my own personal use; Flo-Free gutter guard will give you No More Clogged Gutters! Works in your present gutters as well as new gutter installation.